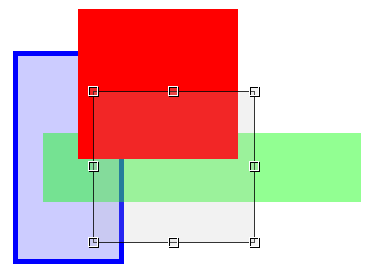 The Rectangle tool lets you draw rectangles such as the ones below. A rectangle can be drawn anywhere on the image by defining its points (handles) as shown on the black transparent rectangle below. Click and hold the left mouse button, and drag to draw the rectangle. Click on one of the rectangle's handles and drag it to a new position while holding the left mouse button down. Generated on 4/20/2019 11:21:34 AM (PST) ADI/HQ/GBA/2019/ARIELCLOUD/v3.0.2018.0126.